Publix is having a B1G1 deal on their brand of diapers and training pants. Pick them up for half off, no coupon needed! 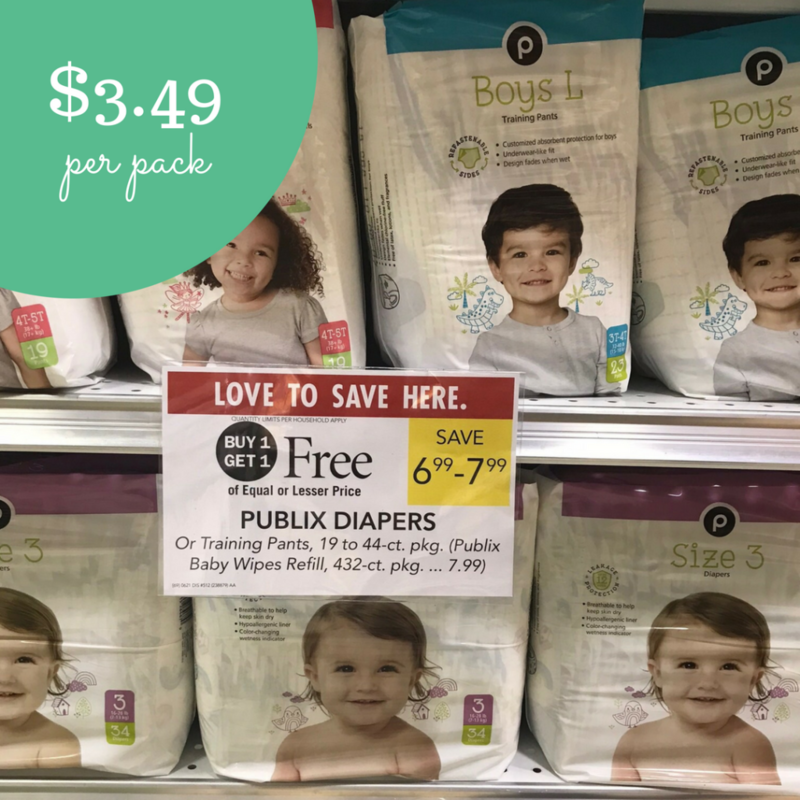 We’ve rarely see Publix run a B1G1 sale on their brand of diapers, or any diapers for that matter! So be sure to take advantage of this sale. The deal runs 8/8-8/14 or 8/9-8/15 (depending on your area).